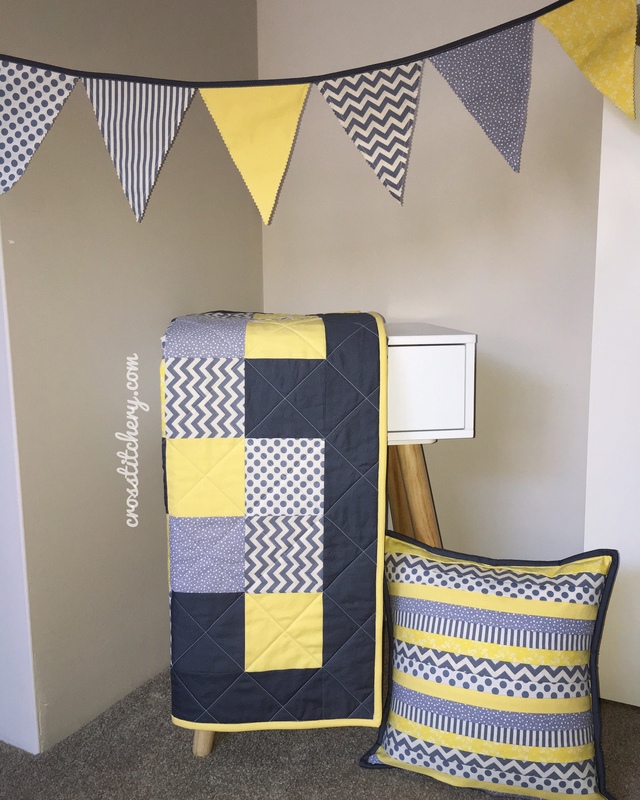 As promised, a completed picture of all the elements for my latest commission to suit a yellow & grey, gender neutral nursery. This commission contained a cot quilt, with a cushion and some bunting to match. I am SO pleased with how this all turned out! I love the fabrics and the colours.